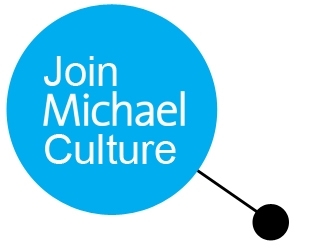 Michael Culture strongly supports the network, federating more than 100 cultural institutions from all over Europe, including ministries, governmental agencies, public bodies and private organisations. Michael Culture is highly implicated in European and international projects which aim at enhancing the digitisation and the promotion of the European cultural heritage.. It participates in the ongoing construction of Europeana, the European Digital Library, and is a board member of the EDL foundation. It is participating in the ongoing construction of Europeana – the European Digital Library. The Association is a member of the executive committee of the EDL foundation. Michael Culture develops tools and services, such as the Michael portal, the European catalogue of online digitised cultural collections. o Full members, who are operating a MICHAEL national or regional catalogue of digitised heritage collections built on the MICHAEL data model. Full members are ministries, governmental agencies, public bodies representing a country or a region, all of them giving access to their regional or national content. o Active members, who support the objectives of the Association and participate in its activities. Active members can be public or private institutions, not physical persons. o Network members, who bring their experience and expertise to the Association. o Honorary member, reserve to individuals, who have played a particular role in the development of the network. The board will then analyse your application and will keep you informed as soon as possible about its decision.